After all types of bad news coming in our way regarding The Kapil Sharma Show, there comes a hope. Reports state that Raju Srivastav will become the peace-maker between Sunil Grover and Kapil Sharma. Raju Srivastav is the fellow contestant from The Great Indian Laughter Challenge season 1 from where he became good friends with Kapil Sharma. After the fight, Sunil Grover refuses to come on the show for shooting for 2 days and this made Kapil to rope Ehsaan Qureshi and Raju Srivastav in for an episode. 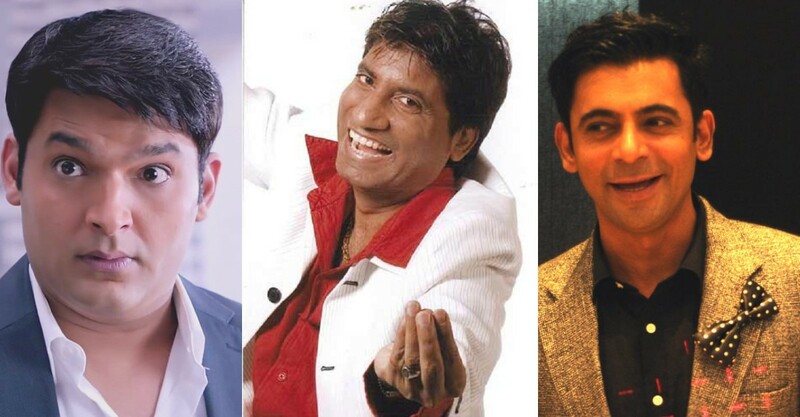 Well, this move brought some hope for the fans as Raju Srivastav has decided to act as a fence-mender between Kapil and Sunil. Raju spoke to Kapil about the fight and advised him not to drink if they can’t behave properly in public. Earlier, Kapil was in a misunderstanding that all will be sorted out soon, but Raju made him realize that this time the issue has gone serious. Raju has offered to meet them and sit down with the two to resolve the problem on this Saturday as Sunil is not in Mumbai. Well, we hope the issue gets resolved, if not on personal terms, at least professionally so that we can watch the show!